High Stairway Colorful Sports Arm Brand Cycling Adjustable Mobile Phone for iPhone and Andriod. Perfect waterproof phone Case for iPhone 6s Plus 7 8 X , Mobile Phone Bag Running Sports Armband case or running, hiking, camping, yoga, fishing, traveling. SIZING & COMPATIBILITY: Double Adjustable Velcro Armband Will Fit in Any Arm Size From 8" - 16" Inches. 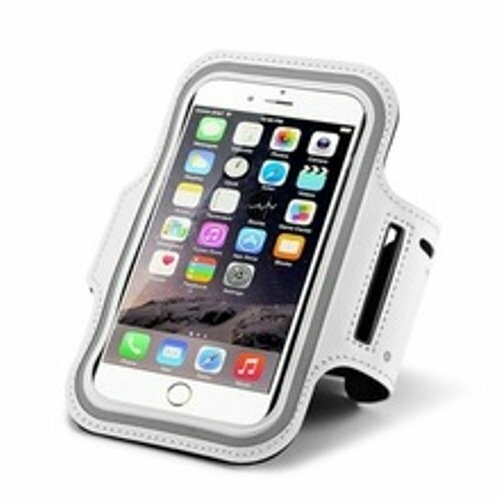 High Stairway Armband Is Designed For and Will Fit in Perfectly The Apple iPhone 6/6S (4.7"). It Will Also Fit Smaller Phones Such As The iPhone 5/5s/5c, Samsung S4, S3, S2, HTC, With Headphone Support For Most All Phones As Well As Any Phone That Has A Screen Up To 5.2". High Visibility - The extra bright reflector strip gives you high visibility when on the roads at night. The separate key pocket helps protect your phone from scratches and the clear screen cover gives you complete phones access inside the case. This is the perfect band for listening to music whilst Jogging, Hiking, Gym Workouts, Cycling, Marathons, Dog Walking or Traveling. QUALITY MATERIALS: High Stairway Armband Is Made Of The Highest Quality Soft Neoprene That Is Made To Flex, Twist, And Bend But Not Stretch Out Of Shape. It Can Stand Up To The Toughest Of Workouts And Marathons. The Tribe Armband Is Ultra Lightweight (1.5oz) For Speed And Comfort During All Activities. Armband Offers Full Screen Coverage Yet You Will Retain Full Touch Screen Functionality, Along With Full Headphone Jack Support For Apple And Android Phones. If you have any questions about this product by HIGH STAIRWAY GROUP, contact us by completing and submitting the form below. If you are looking for a specif part number, please include it with your message.